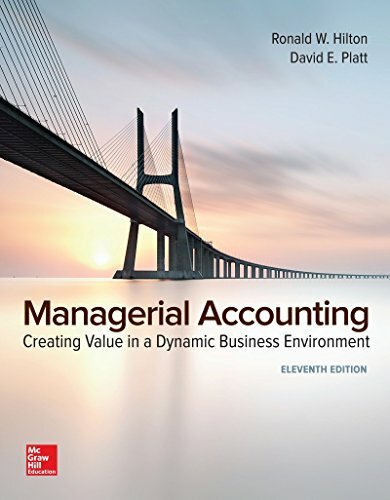 The emphasis of Managerial Accounting, 11th edition is on teaching students to use accounting information to best manage an organization. In a practice Hilton pioneered in the first edition, each chapter is written around a realistic business or focus company that guides the reader through the topics of that chapter. Known for balanced examples of Service, Retail, Nonprofit and Manufacturing companies, Hilton/Platt offers a clear, engaging writing style that has been praised by instructors and students alike. As in previous editions, there is significant coverage of contemporary topics such as activity-based costing, target costing, the value chain, customer profitability analysis, and throughput costing while also including traditional topics such as job-order costing, budgeting and performance evaluation.